Whenever I would finish a beer and see the inside of the glass covered in a foamy film, I’d think “ew”. But recently I learned this is not in fact ew, it is the opposite of ew, or “good”. In a well cleaned beer glass, foam should cling to the sides as you drink. 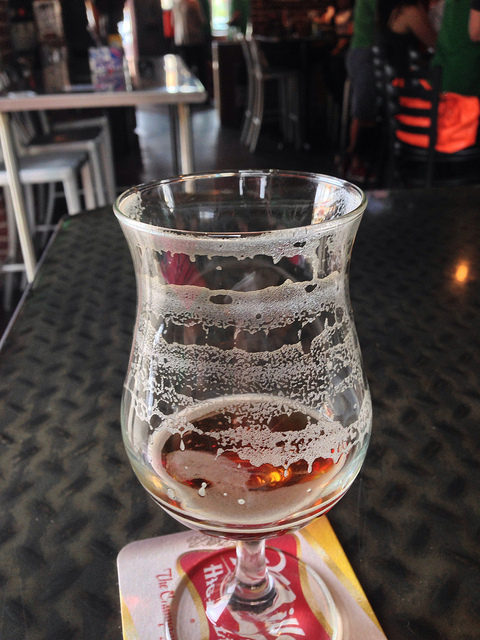 If after finishing your beer, you have a foam-free glass, it may look nice and neat, but it indicates you actually just drank beer and dirt and dust and more dirt. A nice lacing on an empty glass means you had a nice glass of beer, dirt free!